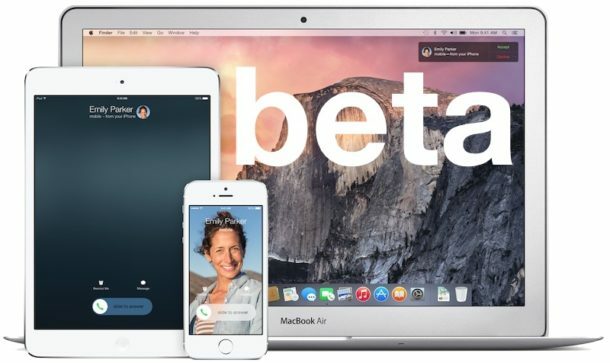 The third beta versions of iOS 10, macOS Sierra, tvOS, and watchOS are available now to users participating in the developer beta testing programs, with a public beta build typically staggered soon after. 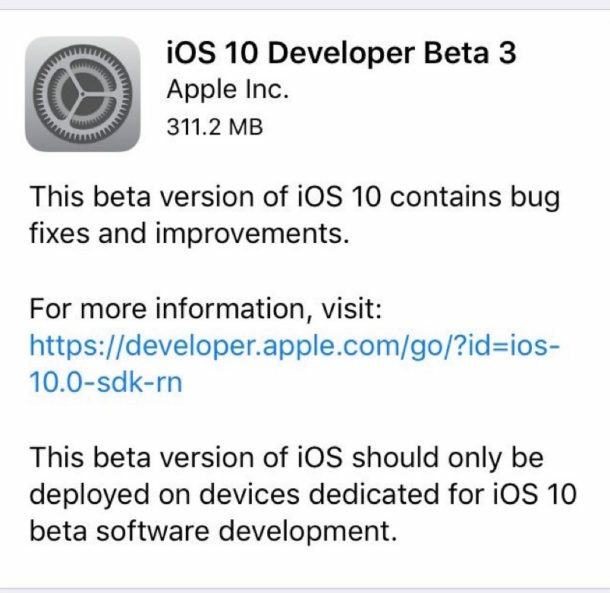 Users who are running a current beta release can find beta 3 available now from the Software Update mechanism of the Settings app in iOS and tvOS, the Watch app for watchOS, and the App Store Updates section for MacOS Sierra. The Public Beta builds are also available through Software Update for users participating in the broader beta testing programs. The release is the same though versions are one behind, for example the mobile release is versioned as iOS 10 Public Beta 2. Each new beta release includes bug fixes and feature enhancements as the software development cycle progresses towards final versions. Final versions of iOS 10, macOS Sierra, tvOS 10, and watchOS 3 are set to be released to the general public in the fall. Separately, Apple has released the final versions of various minor point release system updates, including OS X 10.11.6 El Capitan for Mac users, iOS 9.3.3 for iPhone, iPad, and iPod touch, as well as watchOS 2.2.2 for Apple Watch and tvOS 9.2.2 for Apple TV.